There are several minerals that emit light, or glow under black lights (ultraviolet (UV) light). Non-visible (to the human eye) black light reacts with the chemicals in minerals and causes the rock to fluorescence. If the glow remains after you remove the light source, you have a phosphorescence mineral. Other minerals glow when struck or crushed (triboluminescence) or when heated (thermoluminescence). A UV light that emits both longwave and shortwave light helps identify fluorescent minerals as many emit different color under varying wavelengths; however use caution when using shortwave light as it can cause blindness. A popular, collectible mineral, scheelite (calcium tungstate), glows blue under short wave ultraviolet light. 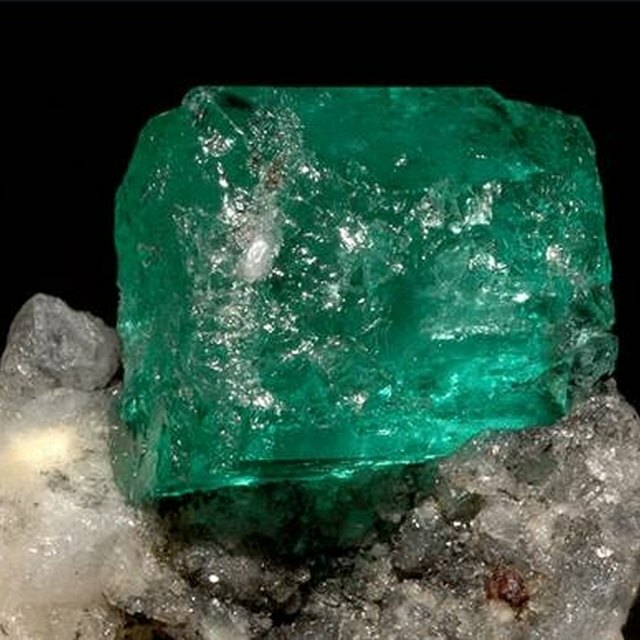 Flourite (calcium fluoride) usually fluoresces blue, but many specimens emit various colors, including yellow, red, white, green and red. A few specimens simultaneously produce different colors when viewed under long wave and short wave UV light, while a number of fluorite specimens’ phosphorescence (glow without a visible light source) in a third color. 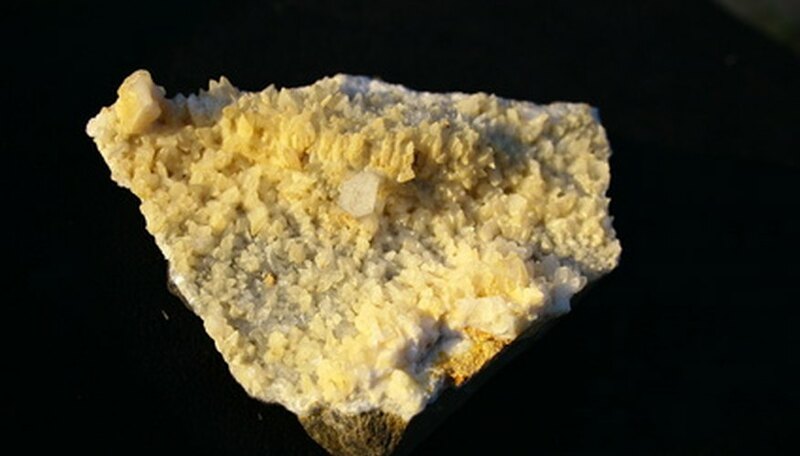 Commonly found in short to long crystals, scapolite, which means “shaft” in Greek, emits orange or yellow color and, on rare occasions, red under black light. As an attractive gemstone, scapolite's colors vary from yellow or orange to pink or violet. Nearly all willemite ore (zinc silicate) glows bright green under black light and a few will phosphorescence. This rare mineral, a source of zinc ore, is one of the finest specimens of fluorescent material. Not all calcite minerals are florescent, although some specimens glow red, yellow, pink or blue under UV light. Calcite (calcium carbonite) gets its name from the Greek "chalix" (lime) and has many uses, such as cement, mortars, or as an ornamental stone. One of the most beautiful radioactive minerals, the yellow-green color of the autunite mineral (hydrated calcium uranyl phosphate) fluoresces under ultraviolet light. Strangely, when autunite loses water it irreversibly converts to an entirely different substance called meta-autunite-I. After many years, the meta-autunite turns to powder, ruining the specimen. One of many names for the common opal, hyalite is a colorless to sky-blue transparent color that fluoresces green under UV light. A common sedimentary mineral, gypsum, (hydrated calcium sulfate) glows blue under ultraviolet light. As a natural insulator, gypsum feels warm to the touch, and is commonly used in drywall. Some eucryptite (lithium aluminum silicate) minerals fluoresce pink under ultraviolet light. Eucryptite crystals, although transparent to translucent, are rarely cut as gemstones. Fyhrie, Suzanne. "What Rocks Glow Under Black Light?" Sciencing, https://sciencing.com/rocks-glow-under-black-light-5973965.html. 24 April 2017.